the database from the library of the Worldfish Center (previously ICLARM). FFAB offers comprehensive information for researchers specialising in ichthyology, fisheries, aquaculture, and aquatic and marine biology. Dating back to 1971, and earlier, this database collection has 1.5 million records. Prominent themes covered include culture and propagation of fish and all aquaculture species, genetics and behaviour, fish taxonomy, natural history, ecology, parasites, diseases, habitat management, fisheries management, fish and invertebrate processing and marketing, fisheries and marine mammal research, and management. 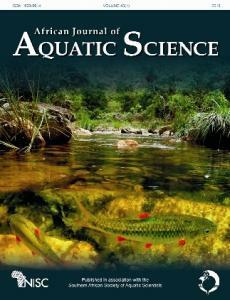 The Aquatic Biology Collection (ABC) database covers mammals, birds, plants and invertebrates. FFAB includes detailed keyword indexing, abstracts and direct links to full text where available. The database also includes deep links from species names to FishBase which offers full-text species profiles and fish illustrations for 31 400 species of fish. The records and abstracts are derived from all publications including journal articles, research reports, conference proceedings, grey literature, books, monographs, theses and dissertations. Users of Fish Fisheries and Aquatic Biodiversity Worldwide include universities, fisheries, wildlife and environmental research institutes, national game parks and government departments, including departments of agriculture. 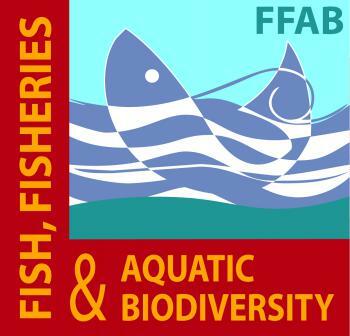 FFAB is indispensable for those institutions involved in fisheries aquatic and marine regulations, management and policy. The AGRIS database is sponsored by the Food and Agriculture Organisation (FAO) of the United Nations (UN) and the literature is collected from all the countries participating in the FAO UN Programme. This database provides an international perspective on fisheries and aquaculture. The publications indexed and abstracted in this subset include many unique materials including technical reports and grey literature. In addition to English, many records also have Spanish and French keywords. This database was compiled by the National Oceanographic and Atmospheric Administration and provides valuable information on all aspects of marine, freshwater and brackish water organisms which are cultured for food. This database is compiled by NISC and covers all aspects of aquatic biology and marine biology, providing comprehensive records of published and unpublished literature. This database was produced by the US Environmental Protection Agency and contains information on acute, chronic, bio-accumulative and sub-lethal effects of chemicals on fresh and saltwater organisms. Information covers over 6 500 chemicals and substances, study protocol and test results. Over 4 100 species are covered. This respected resource was produced by John Castell of the Department of Fisheries and Oceans Canada and covers five major areas: fish nutrition, crustacean nutrition, mollusc nutrition, fish culture and fish oils in human health. This database was initiated in South Africa by the Council for Scientific and Industrial Research (CSIR) Fishing Industry Research Institute and continued in the Bio/Chemtek Division. The database is now compiled by NISC and covers all aspects of the aquaculture and fishing industries, specialising in fish and shellfish processing and quality control of fish products. The Fish and Wildlife Reference Service databaseis drawn from unpublished research reports, field studies and surveys from US State Agencies. Content emphasises fishery management, the management of streams and wetlands, and endangered species. This database was compiled by the US National Fisheries Research Center and detailed abstracts cover a wide variety of fish diseases and infections. This database has been compiled since 1996 by NISC and incorporated into FISHLIT; previously (until 1995), the US National Biological Service compiled Fisheries Review. Its coverage of fish and fisheries is excellent. Thorough taxonomic and geographic identifiers are especially helpful. 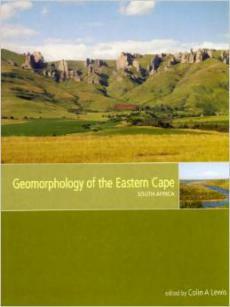 Compiled by NISC, in association with the South African Institute for Aquatic Biodiversity (formerly the JLB Smith Institute of Ichthyology) Library, Rhodes University Library and Marine and Coastal Management Library, FISHLIT covers all aspects of the literature on fish, shellfish, fisheries and aquaculture. Indexed by an experienced team of fish biologists, FISHLIT has an emphasis on quality and includes in-depth keyword indexing to enhance retrieval. FISHLIT incorporates detailed taxonomic information and includes many type descriptions of fish, geographic distribution. With 280 000 000 records and 30 000 new records being added annually, FISHLIT also provides quantity. The FISHLIT database also provides unique historical coverage back to the 1800s, including many fish type descriptions. Records are keyword-indexed to enhance retrieval and all records have abstracts. 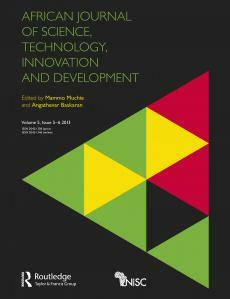 Over 5 000 sources, including academic journals, popular publications, books, monographs, conference and workshop proceedings, grey literature, theses and dissertations, provide many unique records not available on other commercial databases. The inclusion of holding library details, where possible, enhances full-text retrieval possibilities. 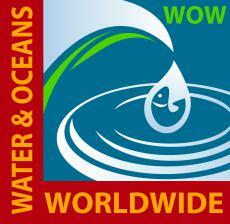 This database was compiled by the National Oceanographic library (UK) at IOSDL until 1996. It comprises over 144 000 records that provide multidisciplinary coverage, including marine physics, chemistry, biology, geology, technology, geophysics, pollution, meteorology and remote sensing, as well as comprehensive coverage of tide and sea level research. Since 1997, the Southampton Oceanography Centre (formerly IOSDL) and POL (now part of the Centre for Coastal Marine Science) have compiled separate databases, OCEANIS and BIDLIB respectively. OCEANIS is also included on FFAB and BIDLIB on NISC’s new database Waters and Oceans Worldwide (WOW) to be released in 2010. Medline, the world's premier health database, is produced by the National Library of Medicine in Bethesda, USA. Coverage in this 90 000 record subset of medical literature includes: veterinary science; fish diseases and their detection and control; human nutrition as it relates to fish and shellfish in the diet, including fish oils; allergies to fish and shellfish; and poisonous fish. The library of the WorldFish Center (previously ICLARM) identifies, collects, processes, stores, analyses and disseminates information relevant to the needs of scientists. The strength of the database lies in its specialised collection on tropical fisheries and aquaculture as well as grey literature ranging from biological research to sociology and economics. It contains over 32 000 bibliographic references which comprise books, monographs, centre publications, reference books and reprints. Compiled by the International Center for Living Aquatic Resources Management (ICLARM), FishBase provides detailed physiological, ecological and taxonomic data for more than 31 400 fish species, each of which is illustrated. As an enhancement to NISC's fisheries-related products, direct links between species names in the bibliographic records and the appropriate FishBase species pages are provided. Use the form shown to send a subscription enquiry for Fish, Fisheries and Aquatic Biodiversity Worldwide (FFAB) or call us on +27(0)46 622 9698.